There are hundreds, if not thousands of dietary supplements on the market right now (white, gray, and black areas) whose manufacturers hope to profit from the craze created around cannabinoids in 2013. 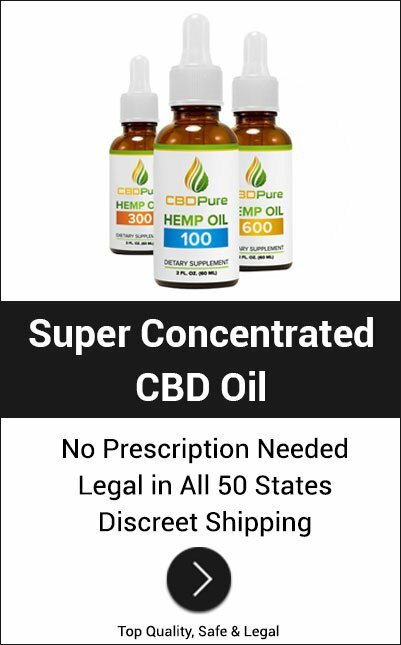 While the majority of such products are endless variations on the “CBD hemp oil, legal in all 50 states” theme, there are a few exceptions which are well worth our and your attention, as potential buyers looking for that little boost in your health. One such product is the plainly named “Cannabinoid Complex,” courtesy of a company called “Boulder Botanicals & Bioscience Laboratories.” Sporting their patented full spectrum hemp extract, it is a rare sight on a monotonous market – it presents itself as deeply-rooted in scientific research, does not claim to bring a host of other benefits than the ones already speculated upon by scientists, but has a price tag to match. Throughout this review – by analyzing the manufacturer and its marketing strategies, looking closer at what the pill actually contains, and by comparing the recipe with cited and uncited scientific studies – we will assess whether one of the high-end supplements on the market is worth its asking price. 4 UNFORTUNATELY THE CANNABINOID COMPLEX FREE TRIAL OFFER EXPIRED! While most of the short-lived dietary supplements featuring cannabinoids in their recipes belong to small-time businesses, Boulder Botanicals & Bioscience Laboratories LLC (BBBL, for short) seems to belong to the diffuse group commonly known as “big pharma,” at least on the surface. The firm is part of the X8 Brands portfolio of companies, specializing in medical solutions for enhancing the performance of professional sportspeople. Everybody is aware that the confluence of two huge financial interest (pharmaceuticals and sports in this case) spells deontological of not legal irregularities, although we have not been able to spot major scandals involving X8 commodities, so the presumption of innocence functions in this case. Nevertheless, X8 which declares its headquarters in California is not listed with the Better Business Bureau, which at least as preliminary information does not bode well for its child company. The homepage of the BBBL website is very polished and attractive, although a couple of oddities arise from the first paragraphs of the enterprise’s description. It prides itself in the 25+ years of experience in nutraceutical solutions, yet it was only formed in Colorado in 2015. Upon further inquiry, a trained eye can tell that BBBL operates with half-truths all across the board: it has run in Colorado for more than 25 years but only as a laboratory servicing products formulated by third parties, and has been bought by X8 Brands in 2015. X8 has installed Robert DiMarco as CEO in charge of their full spectrum hemp extract in 2015, with the Cannabinoid Complex supplement becoming available sometime near the end of 2016, though we have found no clear information regarding this matter. BBB also puts their facilities at clients’ disposal in order to manufacture other products, which explains another peculiarity: while the only product presented on the website is the one which concerns us (based on their uniquely formulated “full spectrum raw hemp extract“), you cannot purchase it directly. Instead, the customer is redirected to another website, which contains much the same presentation, but also has an e-commerce interface. Furthermore, Robert DiMarco has published, in his own name, a rather poorly constructed personal blog on which most of the information on BBBL’s official site is also available. Another incongruity which catches the eye involves the description of the actual raw material included in the supplement’s creation. Though in various sections of the website “pure” hemp from “untouched” lands in Northern Europe is invoked (a recurring motif in hemp oil supplements promotion, which has become something of a cliche), in the section dedicated to the company’s ongoing scientific research, they insist on using only USDA-approved organic plants with a high cannabinoid concentration from a Colorado-based farming cooperative group. Some standard statements are present, chiefly for legal reasons, on both the official BBBL website and the online outlet dedicated to the cannabinoid complex pill. In line with the plethora of similar companies, they inform customers that their product(s) have not been designed to prevent or address any health disorder, nor have any claims displayed on the site or on the labels been verified by the Food and Drug Administration. To offer some praise to BBL, we should note that they make precious few astounding claims (at least comparing them to the competition) as to the effects of their cannabinoid concoction, and they present quite a repository of scientific papers to back them up, an aspect which we will analyze in another section of this review. Also, in a fairly large font, there is the advice to visit your local practitioner and ask about whether you have contraindications to cannabinoids. BBBL or those tasked with its marketing have failed in creating a trustworthy image of the company through its chief online presence, and while this may not be materially detrimental to its Cannabinoid Complex supplement, it does reflect badly upon it. Naturally, any customer should take this negative aspect into consideration before making a purchase, yet we should also take a look at the product itself because culpability cannot be measured through a single dimension. 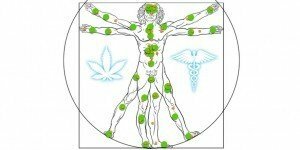 Before we get to the convoluted process of deciphering what is actually in the Cannabinoid Complex capsule (as the label only states “proprietary blend full-spectrum phytocannabinoid”), we should commend Boulder Botanicals on providing a modicum of information about what happens “behind the scenes” (i.e., how do they get from the raw cannabis plant to the concentrated cannabinoid oil). As BBBL also creates through their facilities blends for other interested third parties, the plants they use undergo a thorough screening process for impurities, which can mean anything from pesticide to residues of heavy metals (which can be easily assimilated by plants from contaminated soil), an activity which ends with a Certificate of Analysis from competent Colorado inspection establishments. Furthermore, BBBL declares that they are in partnership with a number of respected organic farmers who supply the laboratories with the best, most natural plants, although this is a claim made by the vast majority of players in the hemp oil business. What supposedly singles out the raw material used by BBBL is the cannabidiol concentration in the cannabis plants they process: while the standard in the cannabis-related products industry is a maximum of 1.2%, the cannabis stalks, leaves and flowers going into the Cannabinoid Complex exhibit a minimum of 2% CBD concentration, with the best batches coming in around at 4%. The next stages of production involve the natural drying of the cannabis – an operation which takes some time, is manual, with most other competing companies preferring industrial dehumidification – followed by the actual extraction of the chemical compounds via the supercritical CO2 technique. 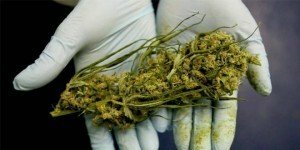 This method involves no toxic solvents to weed out the substances (such as petroleum-based ones, which are ubiquitous throughout the industry) and is unanimously considered by prestigious scientists as the best (though it is also the most expensive) one because it does not involve heating of the cannabis. 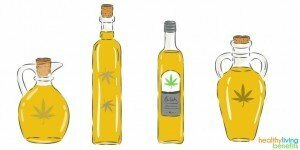 The problem with CO2 extraction lies in obtaining enormous amounts of pressure in a rather large area, something that is only feasible for large enterprises, which normally do not focus solely on the production of cannabis oils. Nevertheless, as BBBL is probably one of the facilities involved in the manufacturing of other supplements sold under the X8 Brands logo, they have the economic prowess and the technical know-how for such costs to be feasible, a positive aspect for the Cannabinoid Complex which is nonetheless reflected in the final price of the product. As to the actual composition of Boulder Botanical’s Cannabinoid Complex, we should start by pointing out what is more than an inaccuracy – one of their slogans is “just the right amount of hemp extract”, though no such amount has been established scientifically, and they also plan a couple of products in the line, with doses ranging from 25 mg to 65 mg of their cannabinoid blend. However, at present, only the 25 mg capsule is available for purchase, with an emphasis on the label that no daily recommended value has been established. Beside the trademarked elixir (Cannabinoid Complex RxTM), the supplement contains some other widely encountered components of hemp oil pills – safflower oil, corn starch, tapioca starch, rice starch. Apparently, these make the absorption of the concoction faster and easier. Customers are also informed that the pill contains less than 0.2 percent of THC, which is far below the 0.3 % threshold of legality. After opening the bottle, one gets the best results if it is kept refrigerated. The interesting question pertains to what goes into the famed proprietary blend, as almost all CBD supplements on the market promise a “revolutionary formula.” Bits and pieces of information are available on the official website and the product-dedicated site, and we have also been able to derive an inkling from other sources, as there is definitely an air of secrecy around it like we were talking about a novel aircraft carrier. Tetrahydrocannabivarin (THCV) – as its name suggests, it is one of over 100 phytocannabinoids to be found in the cannabis plant, has a chemical structure that is close to tetrahydrocannabinol (THC) and similar properties (including psychoactive effects at high doses), yet at lower amounts it does not produce sedative effects in subjects, quite the opposite. 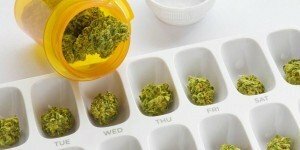 Cannabidivarin – is a cannabinoid with quite a recent history, maybe because it is only detectable in chemical reactions featuring extracts of the Cannabis indica As of 2017, there is a patent filed by two Japanese pharmaceutical companies looking to introduce an antiepileptic drug which has cannabidivarin as its chief active agent. Cannabidiol – the most talked about cannabinoid in recent history does not need further elaboration here. Cannabicyclol (CBL) – a very poorly researched cannabinoid, as of 2017 cannabicyclol is one of the dozens of such compounds which leads to muscle relaxation. Cannabichromene (CBC) – one of the earliest isolated cannabinoid, CBC has not attracted the attention of scientists in the manner THC, and CBD have. 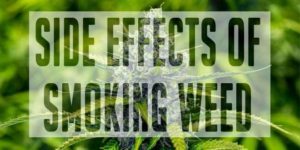 This is due to the fact that it does not seem to bind to cannabinoid receptors, its effects on the body being indirect. Nevertheless, some early studies were promising, especially in establishing the positive impact cannabis has on the digestive system in mammals. Cannabigerol (CBG) – cannabigerolic acid (CBG’s precursor) is within the metabolism of the cannabis plant, the building blocks of all acidic cannabinoids. Being part of the first batch of isolated cannabinoids back in the sixties, there are assumptions that CBG could be especially beneficial to individuals suffering from neurological and auto-immune conditions. Cannabinol (CBN) – one of the most interesting stories in cannabis-related literature, cannabinol is a scarce cannabinoid in the Nevertheless it can be easily man-made, through the degradation of THC in certain conditions. Therefore, customers can find CBN-only extracts at appropriate facilities. It is thought to have strong antibacterial effects, though it has not been adequately researched, even after the post-2013 attention boom cannabis has received from scientists. For a supplement that comes out as being quite sophisticated from the information we have revealed until now, it surprisingly makes few claims as to the health benefits it may have for its users. 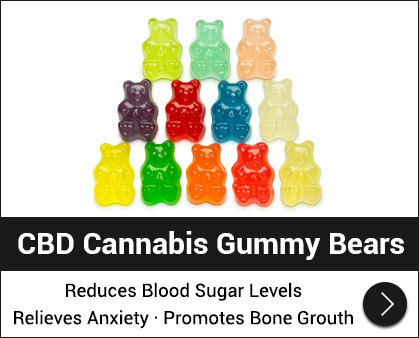 Instead, it quotes the many “possible health benefits” that cannabinoids are touted to bring to the table. This position is literally true for the e-commerce site from where you can buy the Cannabinoid Complex, while the official BBBL site makes only four, albeit broad, claims: reduces inflammation, alleviates pain, combats anxiety, and cures insomnia. Nevertheless, many sources are quoted on the two websites to back up the wholesome outcomes of phytocannabinoid supplementation, sources like webmd.com, The British Journal of Pharmacology, leafscience.com, The Cannabis, and Cannabinoids Research Journal, etc. 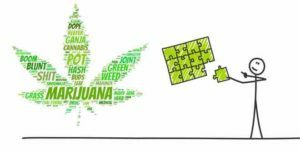 Another approach that distinguishes BBBL and its Cannabinoid Complex among the many like-minded manufacturers and products is its analysis of the methods of cannabinoids intake. Their supplement, in capsule form which can be ingested as such or dissolved in water is supposedly superior to tinctures (as the dosage cannot always be the same, moreover being very expensive), extracts in oil form (because they often exhibit bad odours and can provoke headaches), or vaping (owing to the unnatural delivery system). All these arguments are founded with the exception of pricing with $149.95 for a single bottle containing 30 capsules (which according to the intake suggestions does not mean it equates to a month of supplementation), $239.95 for two bottles (60 tablets), $269.95 for three bottles, and $351.60 for four bottles. Approaching the subject of scientific backing for their health claims, BBBL or those employed by BBBL for promotional endeavors have certainly been very diligent with their homework, probably being the most exhaustive such section ever seen on a dietary supplement’s manufacturer page. We have encountered at the last time of asking 487 scientific papers cited (although we have lost the count several times) across 53 sections. Most of these sections represent specific conditions which cannabis or certain cannabinoids have proven to alleviate or act as a palliative, although special attention is given to the fundamental notions one should assimilate in order to understand how cannabis works on and influences certain physiological and psychological processes: the endocannabinoid system, cannabinoid receptors, major cannabinoids, cannabinoids and the metabolism, and general information. If it weren’t for the products of Boulder Botanicals & Bioscience Laboratories, we would still recommend a visit to their website for what is genuinely a repository of papers on cannabis-related research. I developed a pain in my knee that was so severe I was sure it would require surgery. I tried the Cannabinoid Complex and after a few days it was gone. I stopped taking the capsules and the pain has not come back. Now I’ve started taking them again to help me sleep. I’ve had ZERO tics/spasms (I usually don’t go a single day without a series of muscle spasms), plus my clarity of thought has increased substantially. I have had a couple of seizures, but this pales in comparison to my life with seizures before. When it comes to assessing dietary supplements, everybody involved (from the manufacturer to the reviewer to the customer) knows or should be aware of the fact that there are no such perfect products. If there were, they would depart from this class. We should also internalize the fact that marketing is marketing, and with a modicum of effort, anyone can see through these (often poorly constructed) messages. We can assess which are believable statements about the composition and effects of a supplement and the blatant baseless assertions. If the likelihoods outnumber the speculations, then we are looking at a promising product. And in the case of Boulder Botanical’s “Cannabinoid Complex,” we are dealing with such a promise. 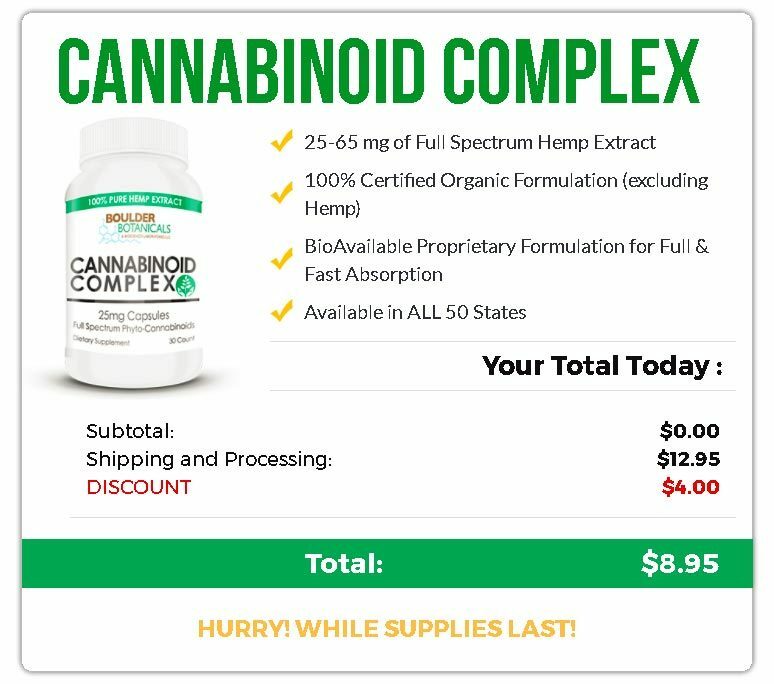 Exclusive Cannabinoid Complex Free Trial Offer! UNFORTUNATELY THE CANNABINOID COMPLEX FREE TRIAL OFFER EXPIRED! The shadows of suspicion that hangs over the integrity of the manufacturer should not outweigh a supplement that is made up of natural and quality ingredients, does not make outlandish claims about what it can do for a consumer, and has the science (at least compared to the competition) to back it up. Nevertheless, there is the financial impediment. It would be an understatement to classify the “Cannabinoid Complex” as being on the upper end of the spectrum. However, we believe that those who are interested should easily overcome this hindrance. 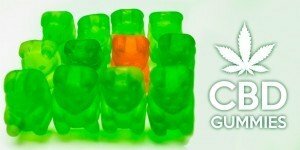 PreviousBio X4 2017 Reviews: Is it Worth Buying? Sylvester is a recognized fitness trainer that loves nature and does his best to take care of the planet. He wants to raise awareness for how simple it can be to make a couple changes in your everyday life that can make a huge difference for the environment in the long term. When he’s not writing and brainstorming content ideas, this New York native spends his time traveling, blasting music, and spending time with his black Labrador, Biscuit. 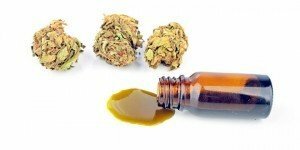 CBD Extraction Methods: How to Make CBD Oil? Endocannabinoid System Explained: What is ECS and What Is Its Role?